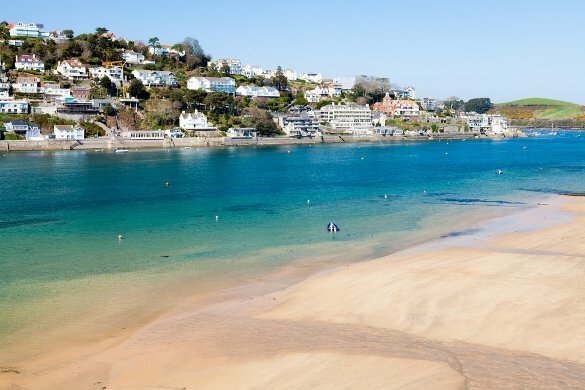 Salcombe is one of the most beautiful harbour towns in the world. The Salcombe Estuary is not in fact an estuary but a Ria. The town attracts visitors from all over the world at all times of year and is a famous sailing venue. Lovers of the outdoors are very well catered for with safe beaches, excellent fishing spots, stunning footpaths and a wealth of water sports activities. The East Portlemouth side of the Salcombe Harbour boasts a number of small coves that are all accessible by foot along the waterfront. 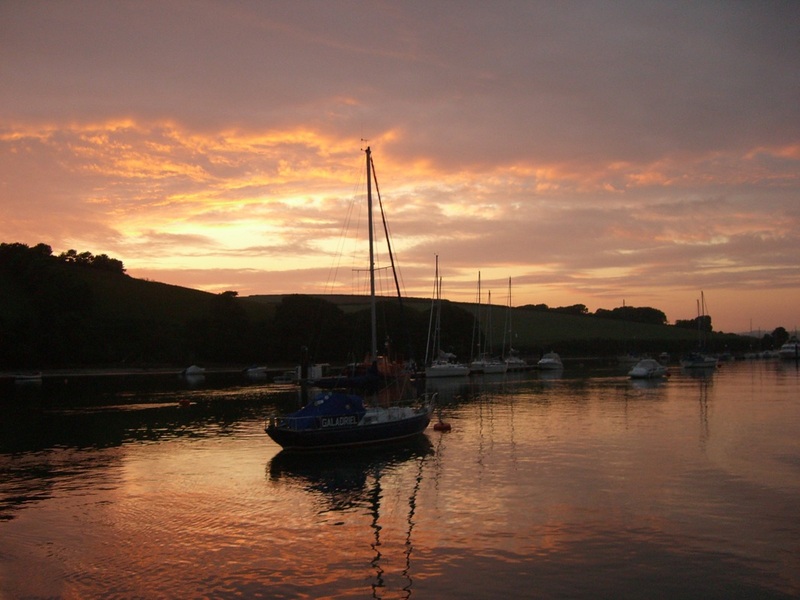 A very popular ferry service runs from Salcombe town centre throughout the year. If you continue to walk around the coast you can easily join the coastal footpath which will lead you to more coves and eventually the Start Point lighthouse. 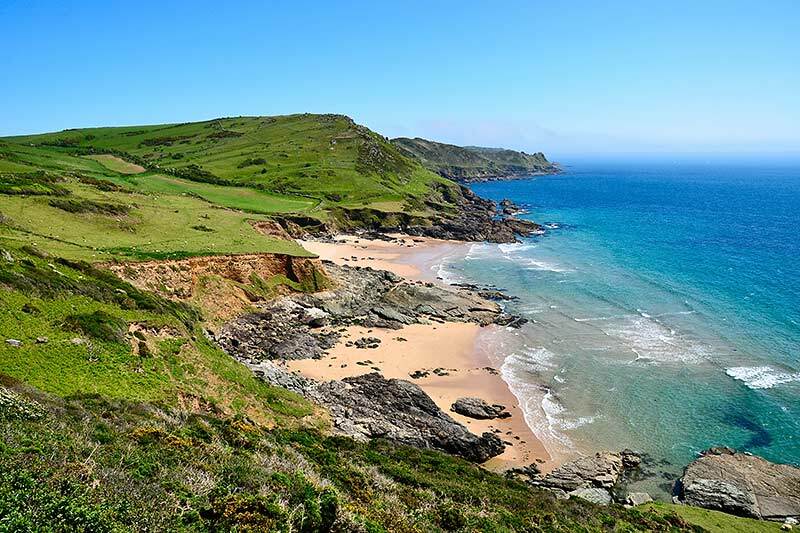 Both North and South Sands are both within walking distance of Salcombe. There is ample parking at North Sands but at high tide there is no beach! South Sands is always above the tide line and offers Kayak and SUP rental and tours as well as a boutique hotel and restaurant which is open to visitors. A scenic walk around the South West Coast Path from East Portlemouth lies the pretty Gara Rock beach. The Gara Rock Hotel overlooks the beach and offers good food and drink. 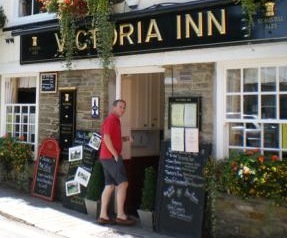 A great stop off on a thirsty walk! 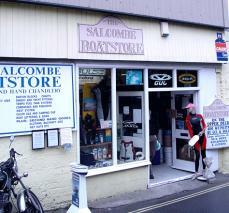 Salcombe has a wide variety of shops and businesses. The main shopping street has mostly given way to clothes shops but it is also possible to find a selection of outlets including a butcher, fishmonger, chandlery and a baker. Below is a small selection of highly recommended local shops that hide among the larger chains including Fat Face, Joules, Crew Clothing, Musto and White Stuff. 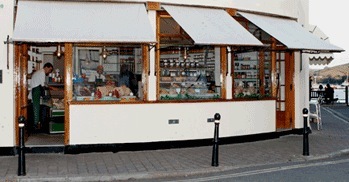 P. W. & J. Coleman are a traditional butcher who have been trading for five generations. They offer excellent local produce, their sausages come highly recommended! 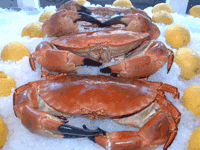 Fish comes in fresh daily from local day boats, operating off the coast from Plymouth to Brixham. They also offer excellent boat hire and harbour tours. 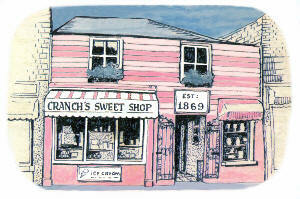 A fantastic traditional sweet shop that has been trading since 1869. 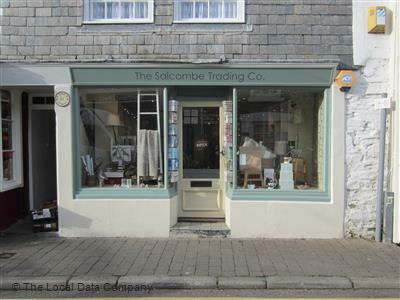 A trip to Salcombe isn’t complete without a visit! Next door is Cranch’s Pantry offering fruit, veg and other food goods. 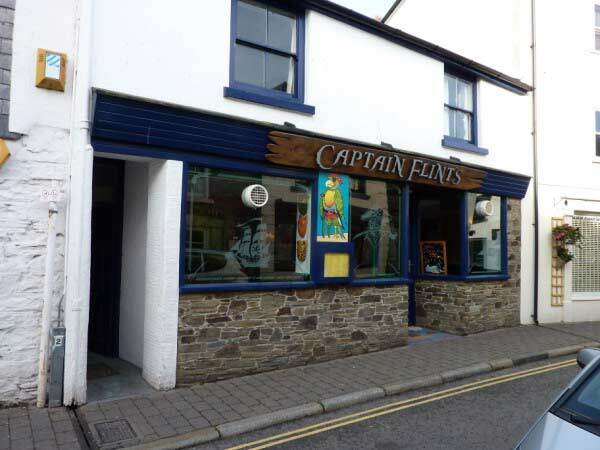 The premier chandlers in the Salcombe area supplying marine equipment as well as wetsuits and other outdoor clothing. A real Aladdin’s cave! Purveyors of an exceptional range of products for the house and garden, with kitchen and dining taking centre stage. The gallery offers professional photography services for offshore and inshore marine photography, weddings and special occasions, sports photography and family portraiture. Fun informal restaurant for the whole family serving excellent pizzas, burgers and pasta dishes. It is not possible to book so arrive early to avoid the queues! A dining experience not to be missed! Excellent pub for drinking and eating. 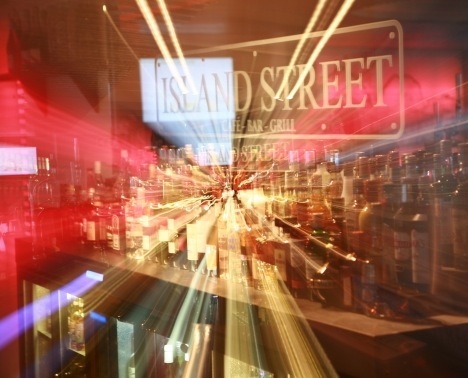 Open all year round with fantastic water front views from the roof-top restaurant and cosy bar area. Brilliant beach front restaurant at North Sands. Ideal for the whole family for breakfast, brunch, lunch, dinner and cream teas, there is even an outdoor grill. 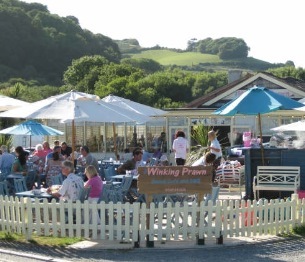 Salcombe's liveliest bar and restaurant serving amazing cocktails and good food. Located on Island Street overlooking the water. Comedy nights and live music are often scheduled. Delicious breakfasts, freshly prepared lunches, fresh crab sandwiches, cakes and cream teas whilst enjoying the outstanding views over Salcombe Estuary from the terrace. 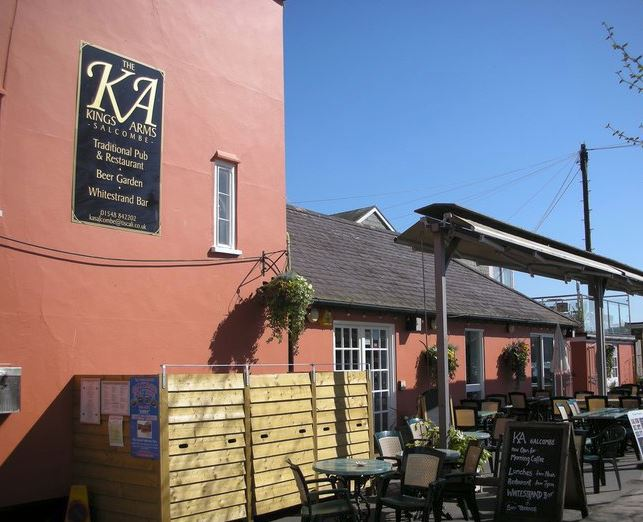 Serving fine local food, and a wide range of real ales, beers, wines and spirits. A nice beer garden and a lively bar with pool table, fooseball and a jukebox. 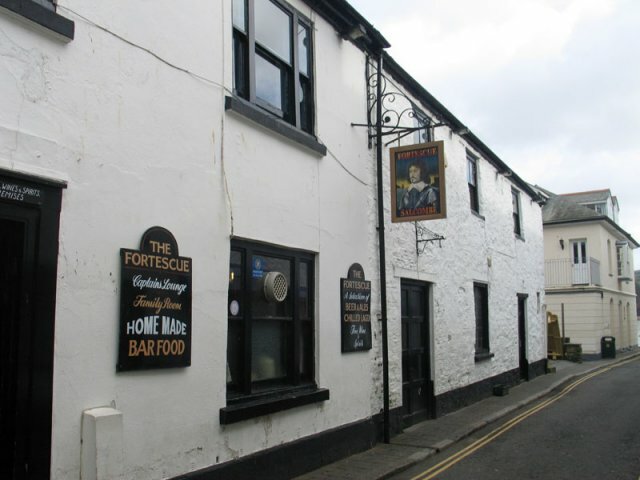 An excellent pub right in the heart of Salcombe offering superb cask-marque ales, a wide range of wine and some of the best pub food in Salcombe. They can also boast a large beer garden with sun terraces. 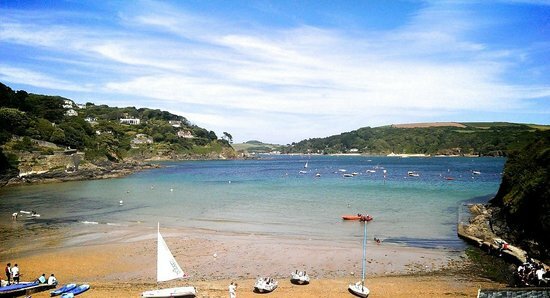 Boasting the best location in Salcombe overlooking the harbour from the ferry landing. Serving good ales and good food this busy pub is an excellent place to spend the afternoon watching the comings and goings on the water.